ITSG provides Managed IT Services for a state-of-the-art Oncology facility that provides radiation therapy to cancer patients in Largo, Florida. In 2008, the directors of this clinic realized they needed IT systems that matched the sophistication of their advanced medical technology. That’s when they approached us for help. Although the clinic’s medical equipment was first-class, its IT systems were hopelessly out of date. When the directors requested our assistance, they understood that investing in technology would enable them to offer the best patient experience and care. We agreed to provide IT services to Tampa Bay Oncology. In addition to giving their systems a much-needed upgrade, we also would provide ongoing IT support. This meant monitoring the clinic’s technology to maintain consistent uptime — vital for a facility that treats patients with life-threatening conditions every day. In 2015, Tampa Bay Oncology was due for another server upgrade. We understood that the practice could save space and money by virtualizing their server infrastructure with VMware. When we explained how the technology worked, Tampa Bay Oncology agreed that it was a good idea. We configured the virtualized hardware to accommodate the existing software and specialized oncology tools. We understood that the practice could save space and money by virtualizing their server infrastructure with VMware. As a managed IT company that understands the importance of HIPAA compliance, we are very glad Tampa Bay Oncology came to us for IT support. We were able to set up systems and security controls that protect patient data in line with HIPAA regulations. We stand ready to help other medical facilities fulfil their obligations under HIPAA. This act, which was introduced in 1996, requires all companies and organizations that handle medical data to take action to keep it confidential and secure. 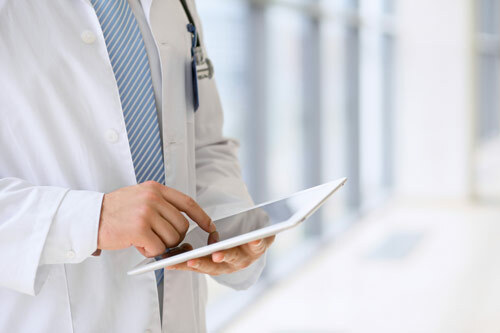 For many businesses, including Tampa Bay Oncology, the easiest way to meet their obligations under HIPAA is to work with a managed IT service provider. We proactively work to make our medical clients’ systems as secure as possible, allowing them to focus on their core mission of making patients better.